Money magazine recently released its annual “Best Places To Live”, and our suburban neighbor to the north, Apple Valley, ranks 28th of the Top 100. Just goes to show what happens when you base your criteria primarily on mathematical formula or ratios. Good thing the math geeks at CNN/Money didn’t actually visit these places. Let’s not argue with them. The NF Public Library has a service area with approx 30,400 patrons actively using the library. Could that be considered a base number that would certainly come to Northfield to eat at a charming , independent restaurant? Wherever you reside, if you like to eat at “chain” restaurants, obviously you will go to the one closest to you. 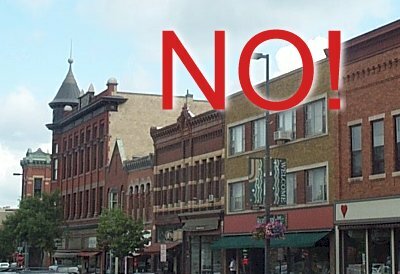 Since this thread is seems to be about ‘quality of life’ in Northfield, I will add a couple comments from the perspective of a new resident, from my completely personal pov. Positives (not much new here I suppose): The educational, cultural and recreational opportunities available. The friendliness of the citizens. The amount of community involvement displayed by the citizens. The river area. The progressive political environment. Negative: Lack of a good local restaurant. A seeming lack of diversity among the powers (commercial and political) that be. The malt o’ meal smell (ok…it’s not that bad…sort of sweet and cerealy…but I guess I prefer just a plain old natural smell). Smugness about how ‘special’ it is here. Overall…A real nice small town close to a great urban area…but subtract the colleges…New Prague. Interesting thought – Northfield, New Prague with colleges. If that is true, does that make Northfield better, worse, or just different? Bill, what a guy! Name a date and place and the drinks are on me! This is a nice town, but there are a lot of nice towns. Being competitive doesn’t mean other towns have to be worse, but that we have to have something that sets us apart, makes us interesting. People don’t need us to be the best at everything, any more they need to rank their kids in order of importance. Shall we start with New Prague, Hastings, Red Wing, somewhere else? I’ll take the first one. criteria, or the number of playgrounds, churches, or ice cream shops. AV is not better than Northfield, they are simply very different places. Apple Valley is larger scale, big stores and developments. very much enjoy anonymity in their choice of living quarters. Many people simply do not wish to mow lawn and maintain shrubs and bushes. I don’t like the Bakers’ Square there, although I have liked that restaurant in other locations…not all chain stores are alike…they are run by individual people and each one shows it’s particular manager’s and staff’s competency. I don’t go to Krispy Kreme or Kohls, or any other K place. I usually buy art supplies at Michael’s and that rocks. Except in rare instances, the people of AV have been friendly and helpful, the prices are good. in a big store just casually looking around. That, plus I have heard that people actually get their daily exercise in the big stores. big chain stores, the specialized beads will be purchased in Northfield. When I want music cds, I head for Target or Amazon.com…there is little in the way of cds here…Ive already got the St. Olaf Choir cds at RCB. broke, don’t fix it. There’s plenty for every taste and temperament. 20 to 30 minutes away, or online is perfect for me… If I need it that bad, I can order it, or pick it up on a weekend. Target has enough “Made In China” stuff to saturate all our citizens ten times over. Northfield is about the character, not about the cookie cutter amenities of AV. They can keep that in AV or Lakeville. I would much rather jump on my bike, or walk down the path or sidewalk, and shop locally. The “imports” I want to buy is meat from Nerstrand, and sweet corn from the outlying farms. I do have to confess that I am in the “commuter” group though. I do attempt to telecommute, and would love to see some sort of facility where you could have some cubes, a conference room, and multiple IP phones and a video conference facility, with administrative support such as copiers and printers. (of course, this would be high bandwidth) Users could pay a daily fee, and have a “remote office” in which to telecommute from. This would be nice close to downtown, or near one of the campuses. It would be nice to telecommute from a place that was far enough away from the house so that it is not a distraction, while still not having to make the 38 mile trip. I do however, try to make the commute as low impact as possible. I vanpool with 9 others on a daily basis. It is much better in terms of comfort, the environment, and my wallet. If anyone has any question why Northfield smokes AV on any given day, I invite them to go stand on the corner of HWY 77 and County Road 42. That will chang your mind in a heck of a hurry. Money Magazine can keep touting AV all it wants. I know what Northfield is about… thats why I moved here. Design is more than making something pretty or making it look old, as several posts in this thread state or imply. In some respects, the “prettiness” of a building or space is less important than the way things work. In looking at Tracy’s two photos, some people see pretty buildings vs. ugly buildings. Some people see expensive to maintain buildings vs. affordable buildings. If you look past these pairings to how the buildings are arranged – Can you find your way around? Is there an organizational pattern that is readily understood? Can you get around without a car or only by car? What type of space is defined by the buildings – an outdoor room or randomness? Are multiple uses allowed or encouraged or discouraged? …are human interactions facilitated or limited? Mn has 1 bookstore for every 20,700 residents. Northfield has 5 independent bookstores for fewer than 20,000 residents. not bad. Apple Valley has 2 bookstores, pop? 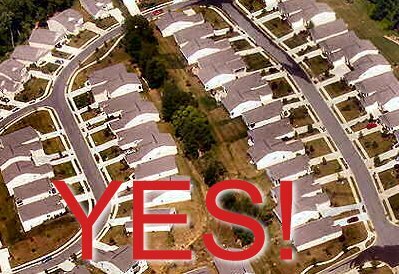 I think we can agree that when Donald says good architecture, he means good design, and that it doesn’t stop at the property line or the curb, it is your whole experience.